Spanish for “Crown of the Sea”, Corona Del Mar is actually, one distinct neighborhood within Newport Beach. Located at the south end of Newport Beach, Corona Del Mar Real Estate has some of the most sought after homes in Southern California. This beautiful community fronts the Pacific Ocean but is still only minutes from John Wayne Airport and less than an hour (with no traffic) from Los Angeles, Ca. Corona Del Mar Home prices average at $1,950,000, making Corona Del Mar Real Estate on the high end even for coastal homes. The community of Corona Del Mar includes beautiful beaches, parks, tide pools and eclectic and yet sophisticated, shopping. 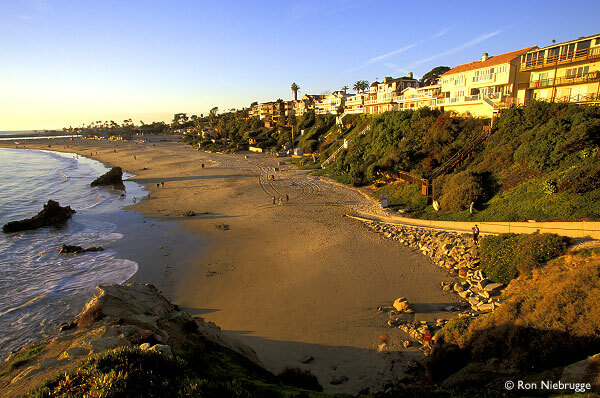 Favorite beaches in Corona Del Mar include Big Corona and Little Corona, with Big Corona a favorite among surfers and water enthusiasts and Little Corona a more tranquil and relaxing local. After hitting the surf you will find many dining options in Corona Del Mar, including two of our favorites, Five Crowns and The Crow Bar.